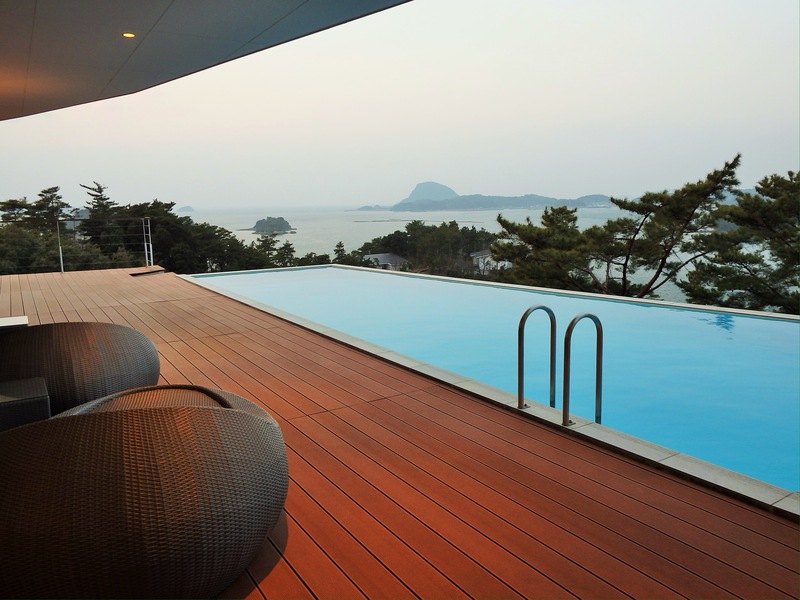 Only two hours from Tokyo by plane, Kumamoto Prefecture, on the island of Kyushu, is a fantastic choice for a two night / three day get-away. Although the sightseeing choices are endless, here is an itinerary that I personally enjoyed and would recommend to those who really enjoy driving. As Kumamoto does not get much snowfall, we took our trip in January. (*Be aware that it does occasionally snow near Mt. Aso). In most other months, Kumamoto will be a lush green. *This article was updated January 2019. On Day 1, we took a very early flight from Tokyo’s Haneda Airport to Kumamoto Airport. Flights leave Haneda on Solaseed, ANA, or JAL. Jetstar is less expensive, but their flights leave from Narita. Upon arrival at Kumamoto Airport, we picked up our rental car and spent the first part of the day in Kumamoto City. 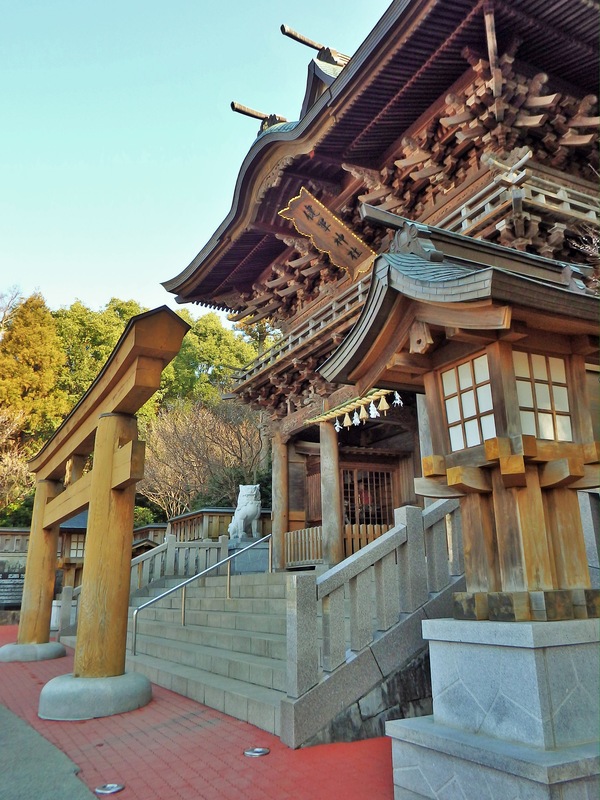 First, visit the Kyu-Hosokawa Gyobutei, a wonderful example of a high ranking samurai’s home. 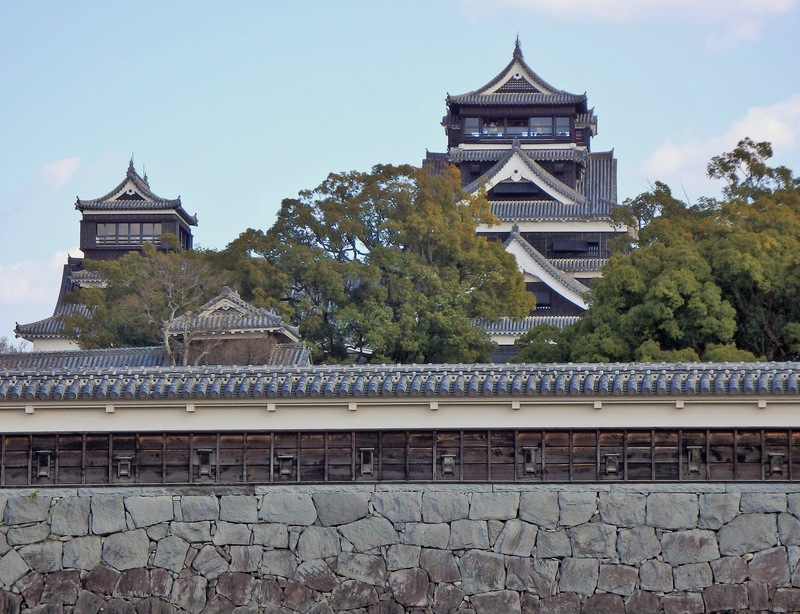 On the opposite side of the same park is Kumamoto Castle, which was heavily damaged in the earthquake of April 2016, but it is still worth seeing. *This is a photo from before the quake. 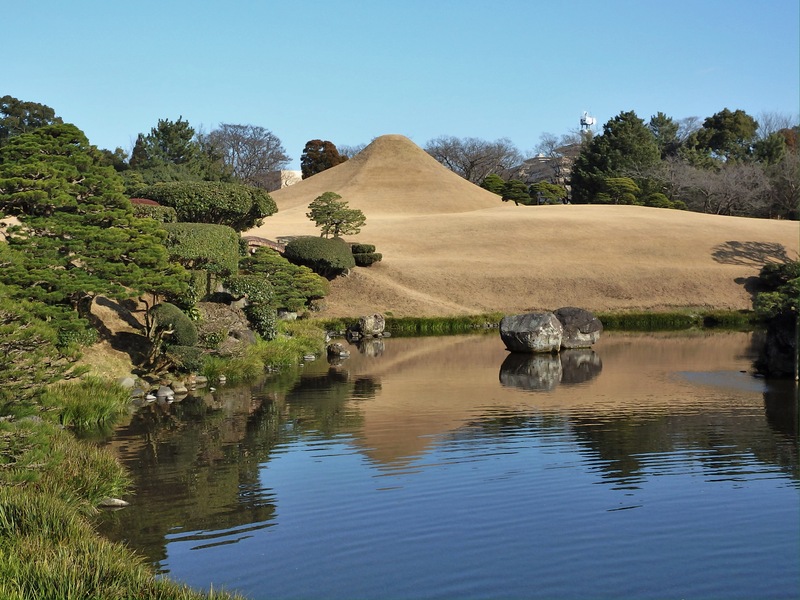 Just a few kilometers away is Suizenji Jojuen, a magnificent garden created by the local Hosokawa feudal lords. In the late afternoon, we drove out toward Mt. Aso in order to stay the night in Kurokawa Onsen. 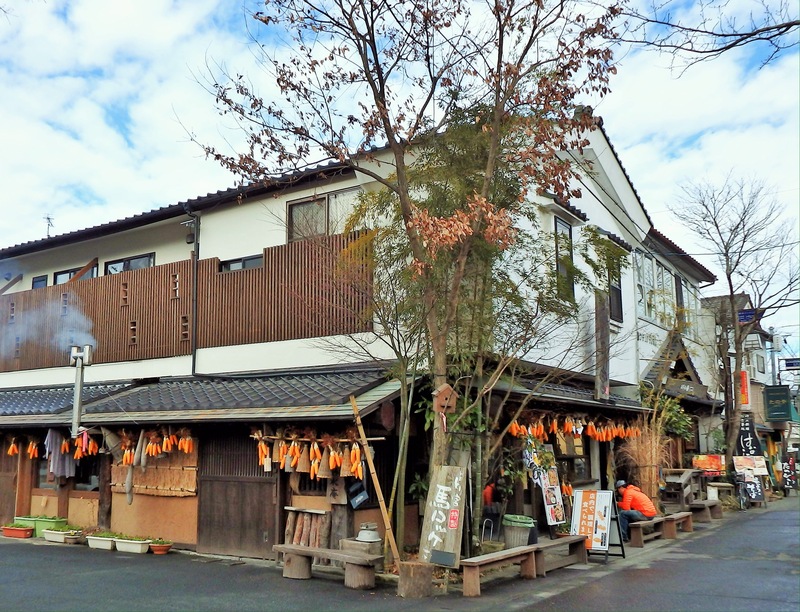 One of my favorite ‘mini onsen towns’, there are many wonderful Japanese inns there to choose from. 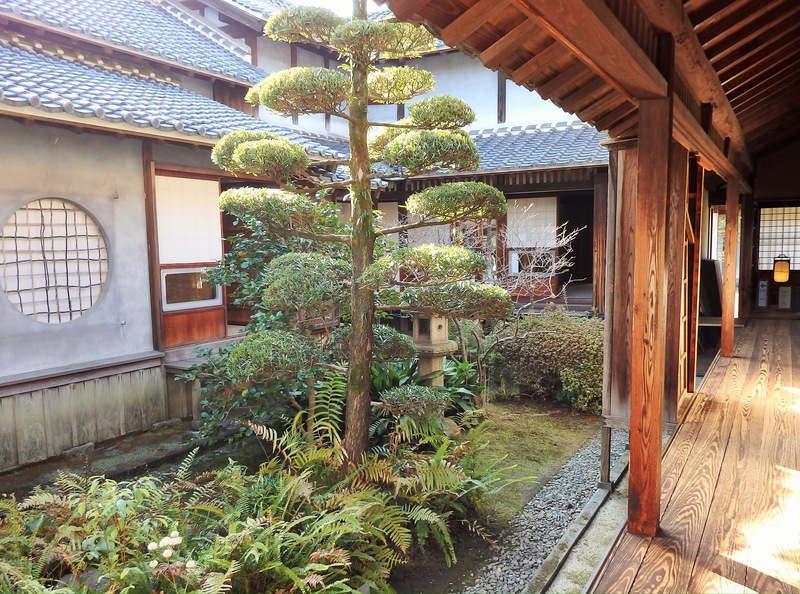 We stayed at the Yama-no-yu Ryokan. This is the bridge to the Shinmei-kan, an inn that is famous for its cave baths. On Day 2, we spent most of the day sightseeing around Mt. Aso. The Aso Shrine was also heavily damaged during the earthquake, but the town around the shrine is lovely, and they really need the support of tourists. 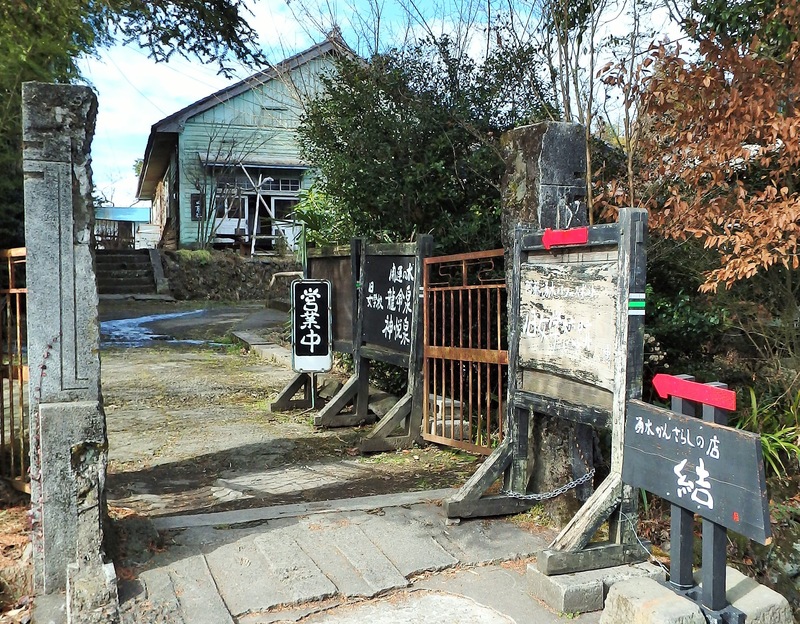 While there, spend some time along Aso Shrine’s Monzen Shopping Street. Hidden nearby, within walking distance, is the Kyu-jogakko-ato. Formerly a school, it is now a ‘retro’ complex filled with interesting shops and cafes. Don’t miss it! We then drove along the Aso Panorama Line to the Aso-san Ropeway. 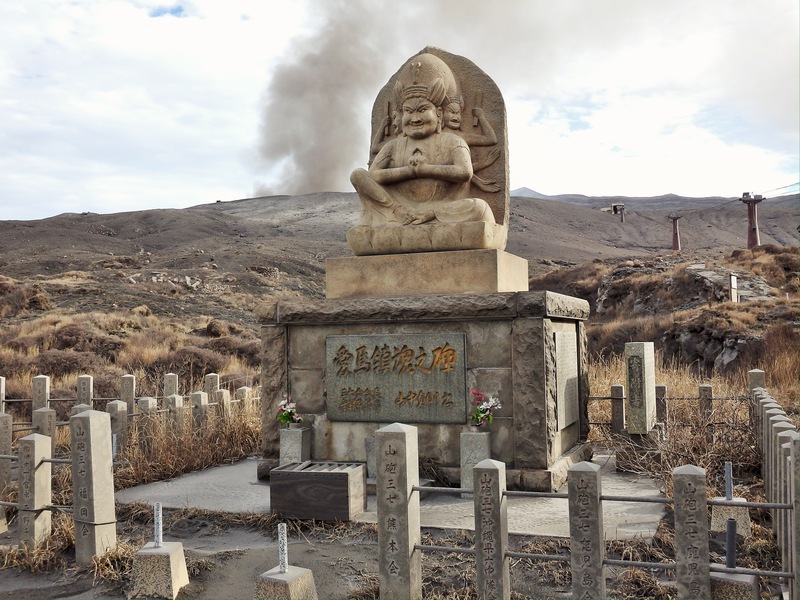 The ropeway was destroyed by volcanic eruption a few years ago. However, when things are calm, visitors can still drive, hike, or take a shuttle up to the Nakadake crater. There is also an observation area not far from the ropeway parking lot where you can take some great photos. 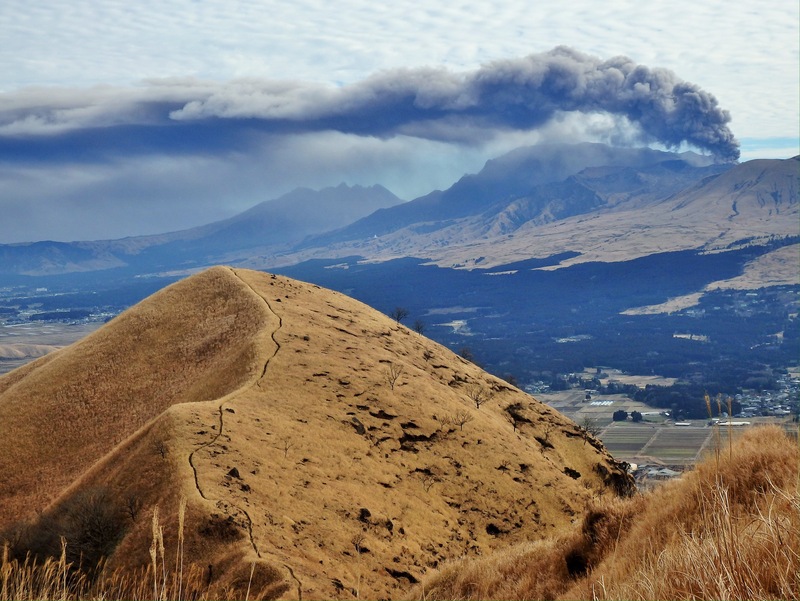 *Due to the volcanic activity, it might be a good idea to stop at the Tourist Information Center beside Aso Station before heading up to Mt. Aso. They can tell you if any roads are closed, where it is safe to drive, etc. No matter what, do not miss the Laputa-no-michi. At the top of this narrow, winding road is one of Japan’s most scenic lookouts. *The road itself is now closed indefinitely. 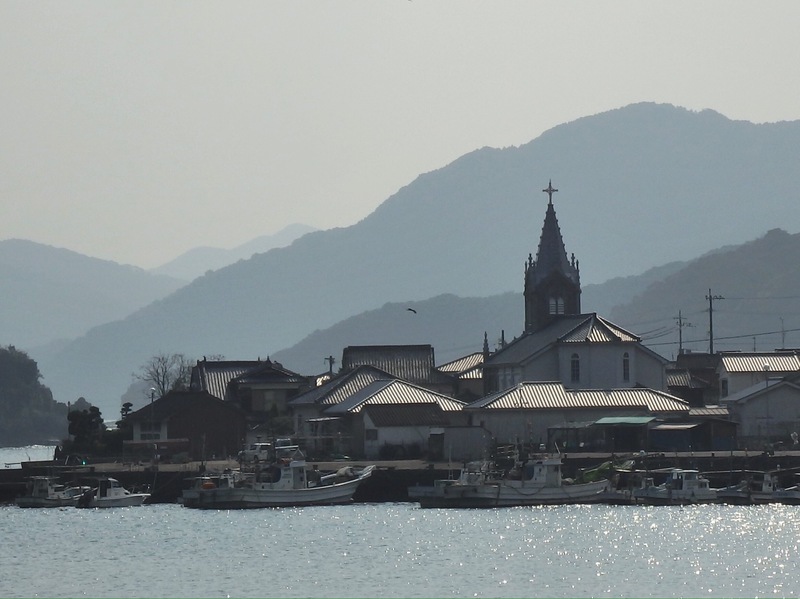 From the Aso area, we then drove three hours to Amakusa, which consists of a number islands connected by bridges to a peninsula just south of Kumamoto City. 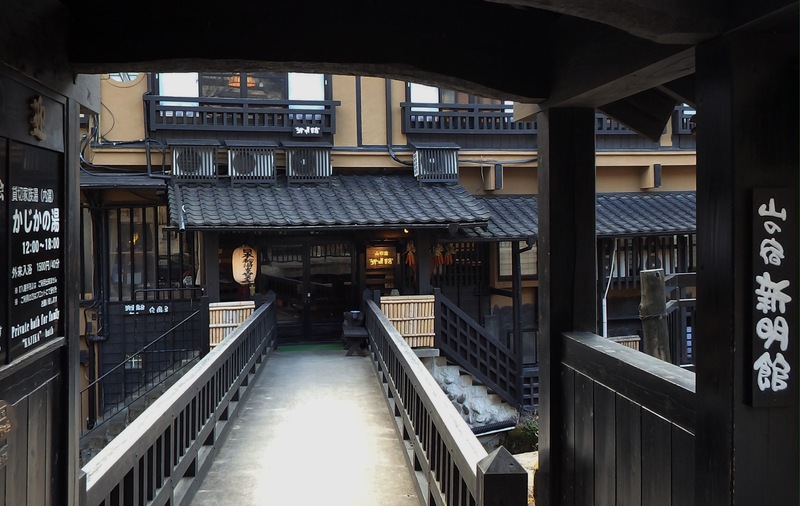 After all the driving, we stayed at one of my favorite Japanese hotels, Tenku-no-Fune. Read about the hotel here, and see an example of meals here. We slept in on Day 3, visited a couple of Amakusa’s famous historic churches, and then made our way back to Kumamoto Airport. From Amakusa to the airport it takes a little less than two hours by car. *Sightseeing boat rides and dolphin watching are also very popular in the area. For more ideas on where to go, take a look at other articles/photo stories about Kumamoto on JapanTravel.com – especially those written by Kumamoto expert, Mandy Bartok. To have someone else plan your trip to Kumamoto, check out the travel company, Heartland Japan.